Microsoft said Tuesday that it will soon push free Skype group video calls to those users who have the Android, iOS, and Windows Mobile versions of Skype installed. This feature is already available on the desktop versions of Skype, but Microsoft's using the 10th anniversary of Skype to highlight the move to mobile. Microsoft said that in the last decade, Skype users have communicated via video for over 2 trillion minutes. The company explained how much time that is: "with that amount of time, you can use Skype to read to every child in the world for 10 hours, every family can be together over Skype for more than 7 hours and there’s still time left for the entire world’s workforce to have an hour-long interview via Skype." The group video calling feature is subject to some rules, at least on the desktop. Skype recommends that desktop Skype users call up to five other users at a time. The service enforces a fair-usage limit of 100 hours per month, with no more than 10 hours per day and a limit of 4 hours per individual video call. After that, only audio calls are allowed. Microsoft representatives couldn’t immediately say whether there would be a fair-use policy for the mobile Skype apps, and what it would be. Microsoft also didn’t say exactly when the free video calling would be rolled out to its mobile apps. But if you’re impatient, you can pre-register to receive the apps early. Why this matters: By adding an advanced feature from its desktop version to its mobile versions, Skype is keeping ahead of the literally dozens of mobile messaging, chat, and calling apps already on the market. 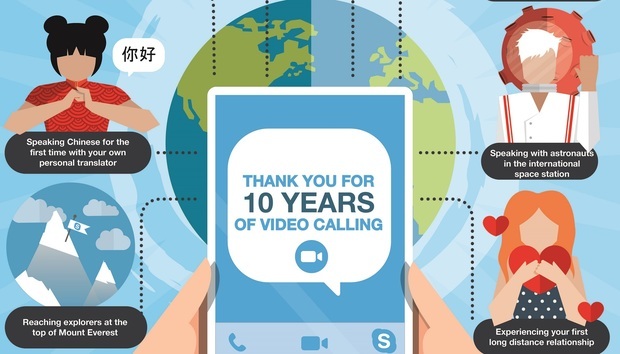 If you’re one of the "hundreds of millions" of mobile Skype users Microsoft claims to have (based on the blog post—Microsoft has never divulged numbers), free video calls are a great feature you might not want to wait for. How has Trump impacted tech lobbying in the US?